The feline was first spotted by CCTV cameras inside Vibgyor School at around 4:13 am. The school was shut on today as it was Sunday. School authorities immediately informed forest officials and police who rushed to the spot. 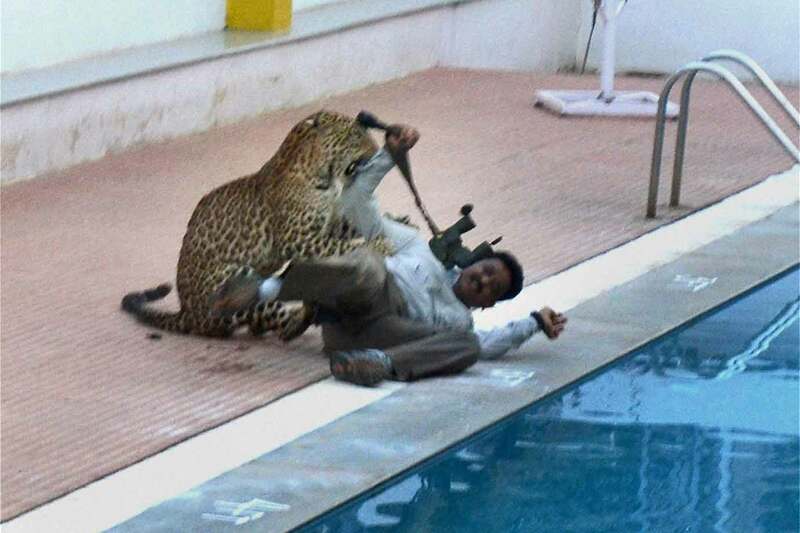 The leopard had escaped from the school premises during the day and was hiding inside nearby bushes. As authorities were in the midst of operations to capture it, it re-entered the school building by scaling a compound wall, officials said, adding that it has now been tranquillised. The scene of the attack was captured by television channels which had arrived at the spot to cover the operation. Police had a hard time controlling the crowd that had gathered at the spot.